Dead Zoo. Dead Zoons. Zounds! 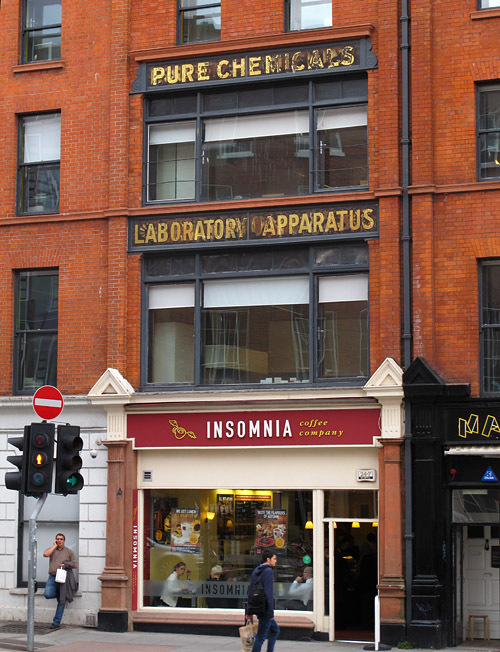 The city of Dublin emanates a shabby charm. Much of the city centre has been beautifully renovated, yet the overall impression is of a once-elegant town that saw its prime sometime before Irish independence was achieved. Or maybe it is just a place that has its corners rubbed off quickly by the rough-and-tumble of life, its paintwork scuffed and doorways chipped by too many stonking Saturday nights. 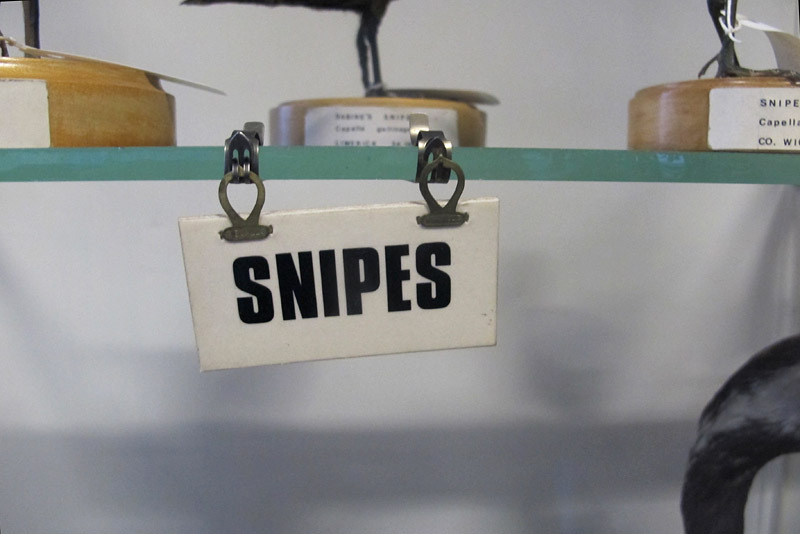 Every case in the museum is packed full of creatures. 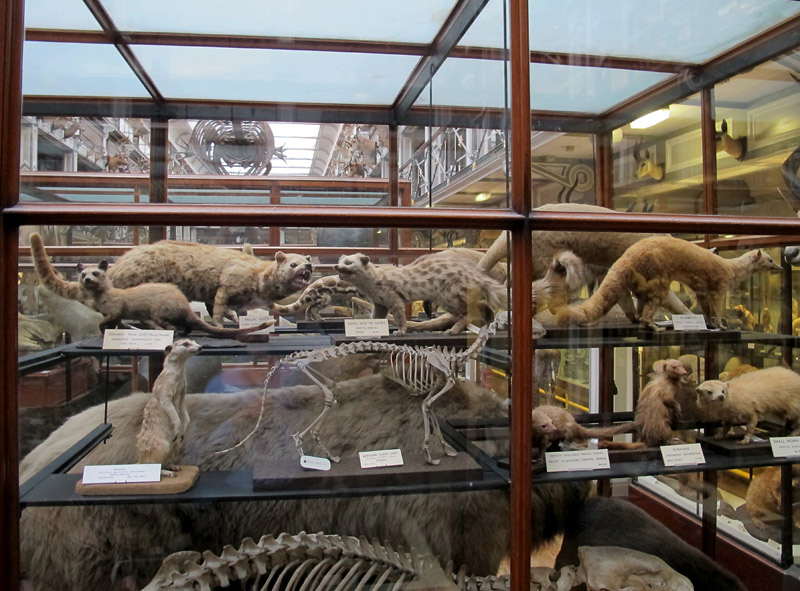 These are small carnivores in the upper gallery (mostly mustelids, by the look of them). The impression of a distant grand past is also evident as you step into Dublin’s public buildings. 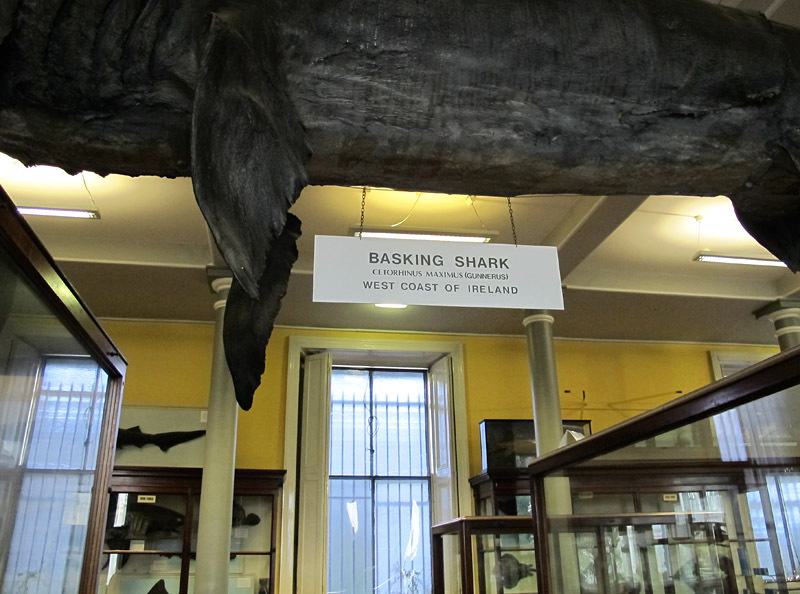 Just off Merrion Square, beside the Dáil (the Irish Parliament), stands the National Museum of Natural History. 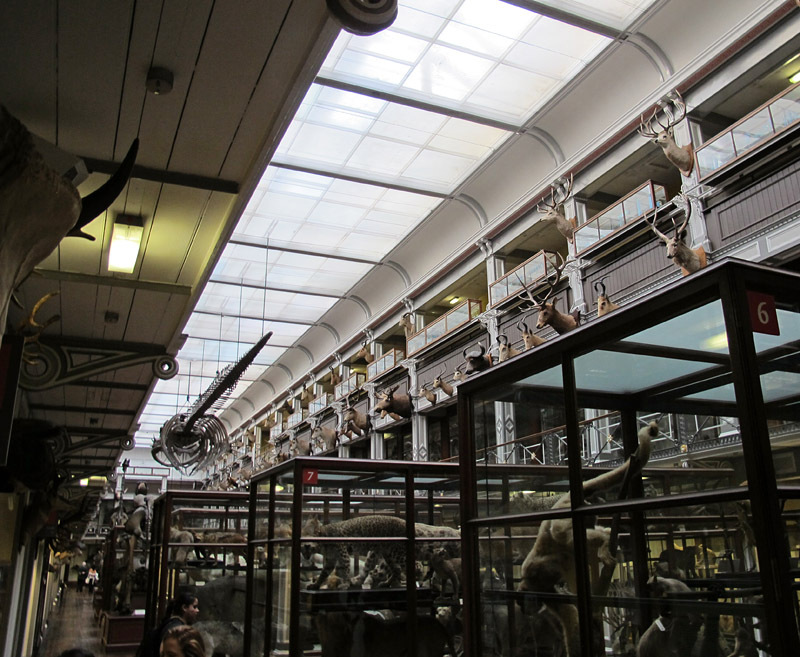 Though not constructed on the scale of its French equivalent, this institution similarly preserves the idea of the natural history museum as the repository of biological variety and morphological complexity. 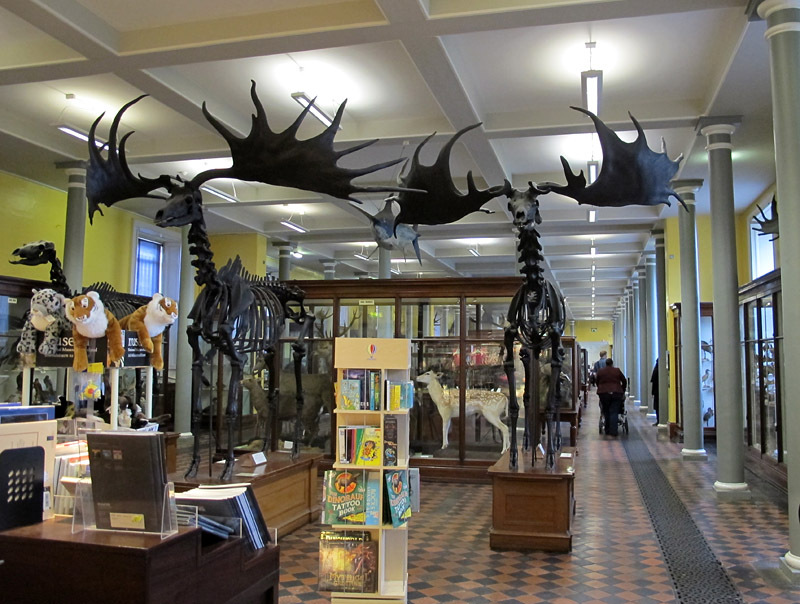 You enter past the shop and the trio of splendid Irish elk (two antlered males, with a female to the left). 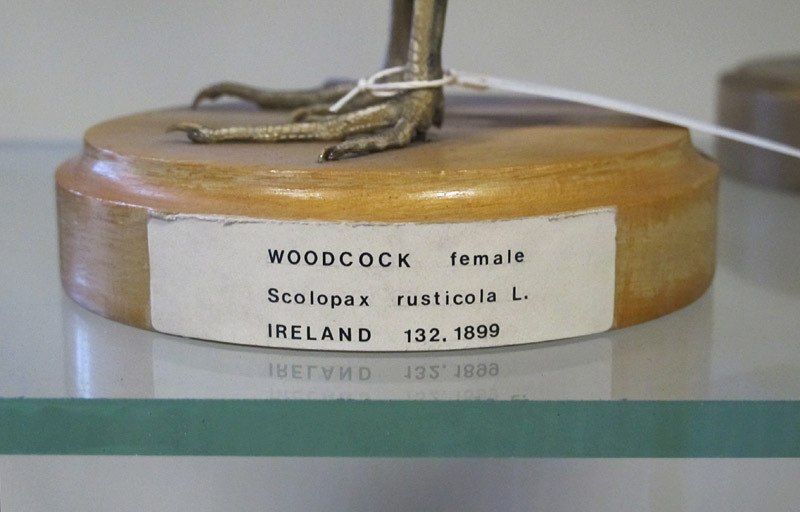 I will not attempt a detailed description and discussion of the Irish museum, since that was done twenty years ago by Stephen Jay Gould, in inimitable erudite fashion. 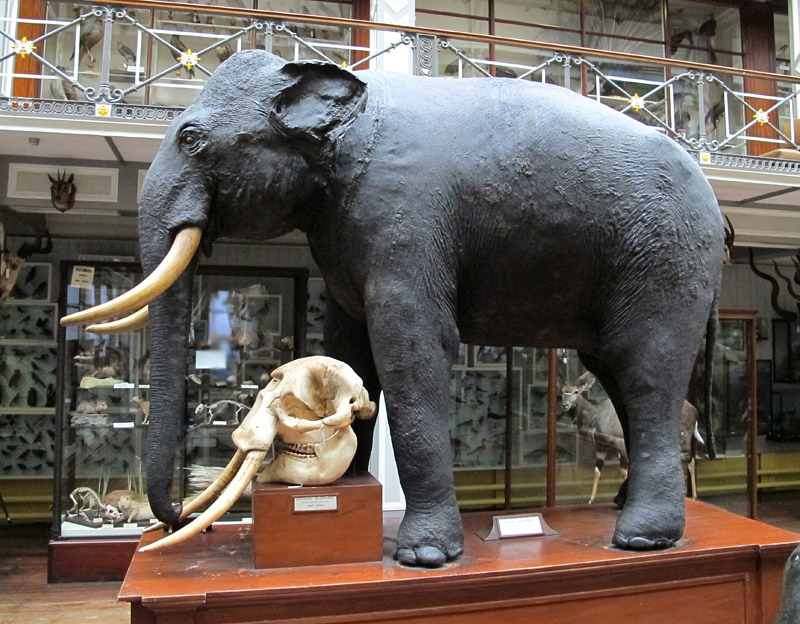 As Gould pointed out, although the museum gives the appearance of a place frozen in time, it has in fact evolved and changed over the century-and-a-half since it was opened in 1857. 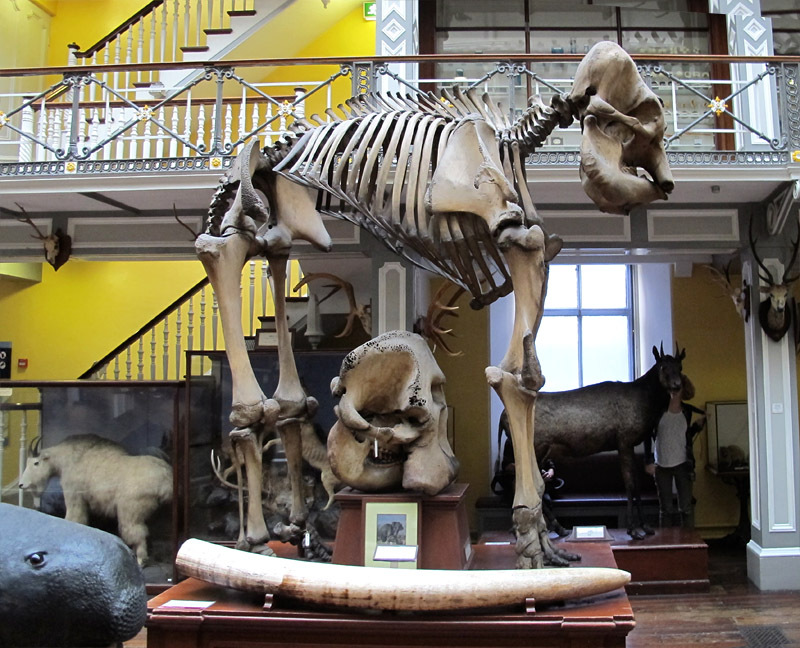 But the changes have respected its initial intention, which was to exhibit the zoological diversity of Ireland and the wider world. 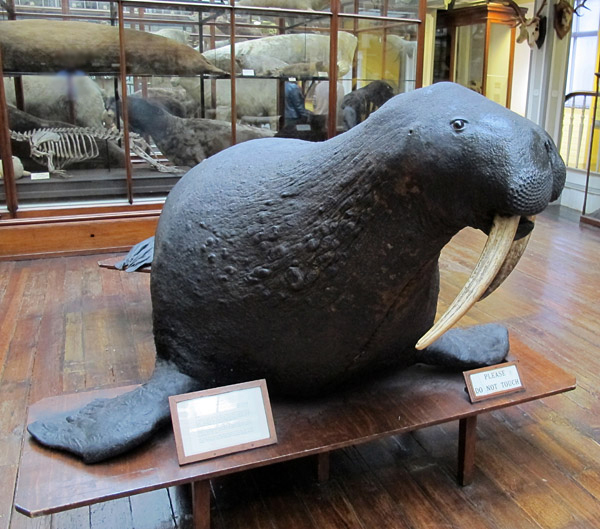 The main floor depicts the fauna of Ireland. Here, many of the more spectacular creatures are marine forms. 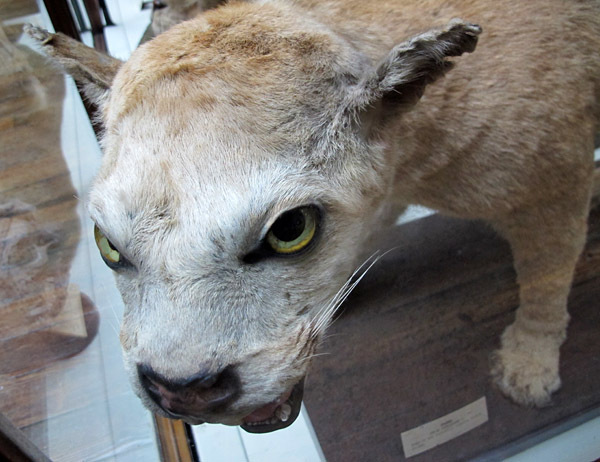 This demonstration of diversity has required successive generations of curatorial staff to gradually pack more and more taxidermied beasts and mounted skeletons into the museum’s tall galleries. 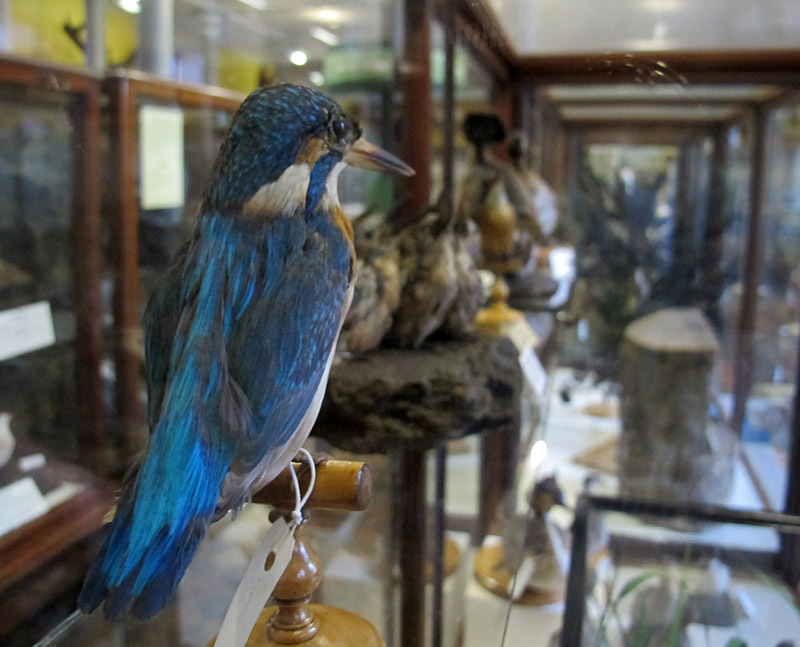 Today, the sunlight streaming through the windows and skylights illuminates 10,000 exhibited specimens, and it is little wonder that the place has earned its local moniker: the Dead Zoo. 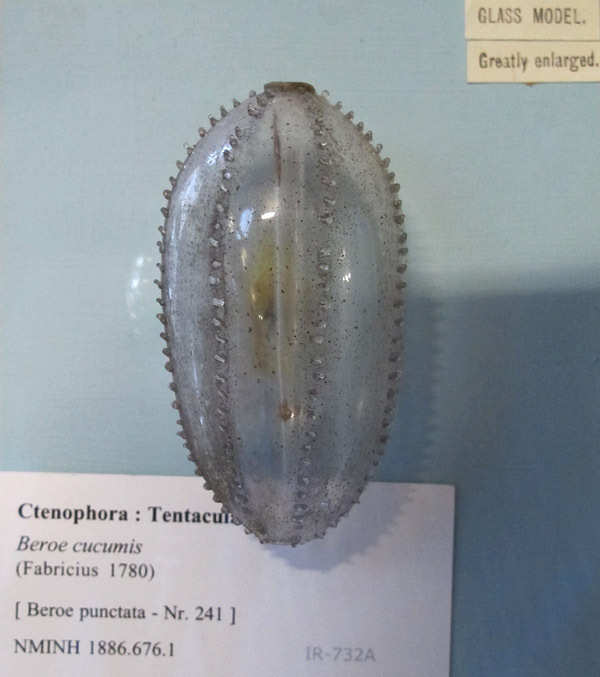 Many of the exhibited specimens were collected in the nineteenth century. Gould loved the sunlight, saying that it creates “a fascinating interplay of brightness and shadow in reflecting off both specimens and architectural elements of iron struts, wooden railings, and the dark wood and clear glass of the cabinets themselves.” Trying to photograph the exhibits late on an October afternoon, I have to say that I do not fully agree with his assessment. Reflections on the glass make this place a photographer’s nightmare, and many of my images of cases were useless for the illustration of this piece. 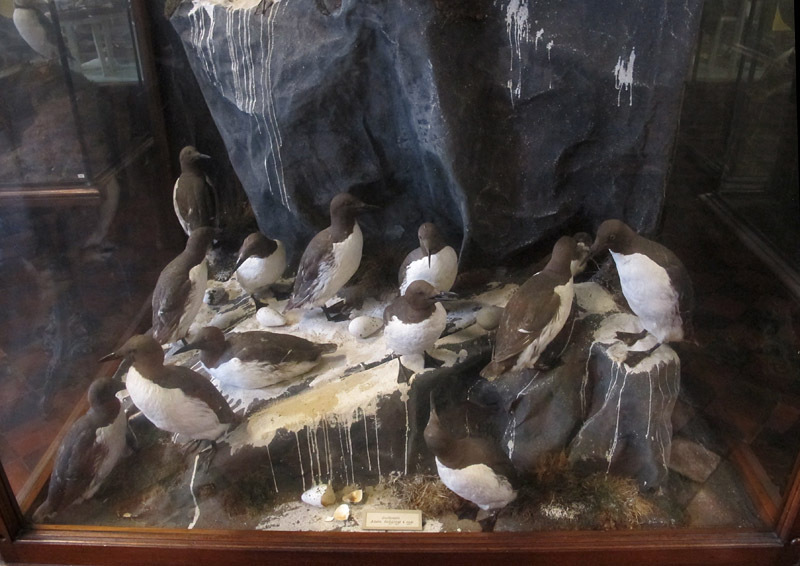 A colony of guillemots, depicted in full guanal detail. 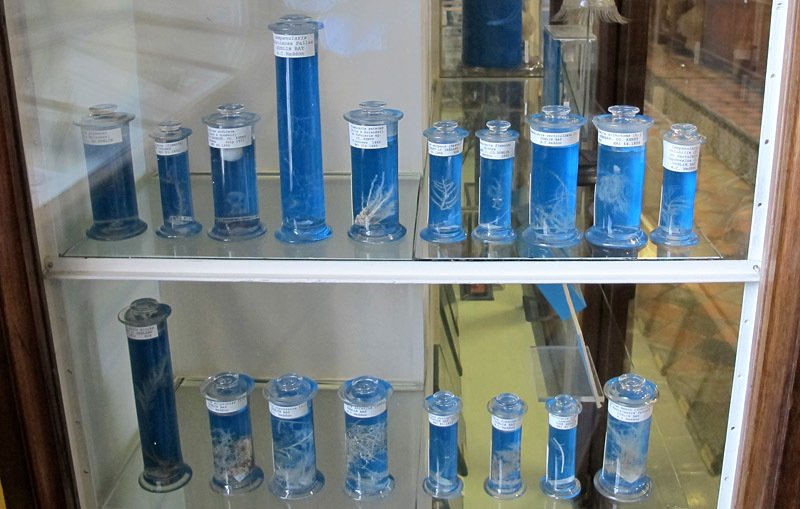 Marine organisms in fluid are exhibited in rows of glass bottles. 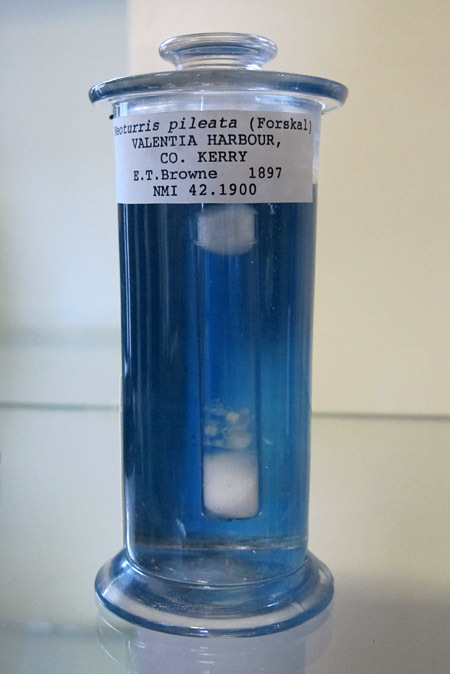 Neoturris is a beautiful little hydromedusan (sadly, it is very difficult to see here). 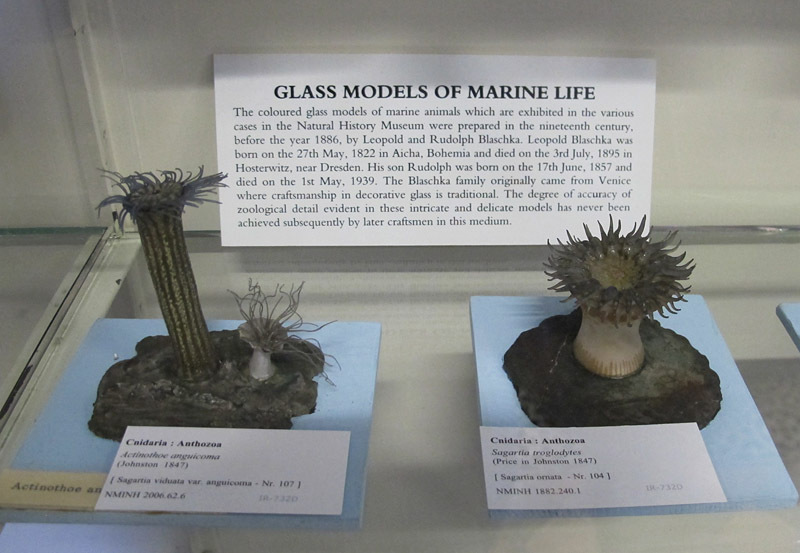 Blaschka glass models of invertebrates are famous for their beauty and accuracy. 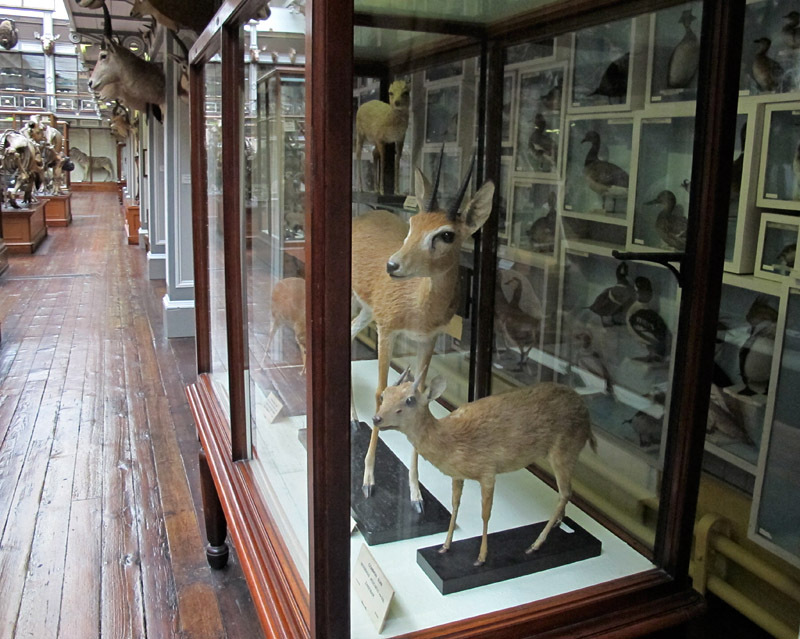 The upper gallery is lined with mounted heads of animals shot all over the world. Without elephants, a zoo is just a menagerie. 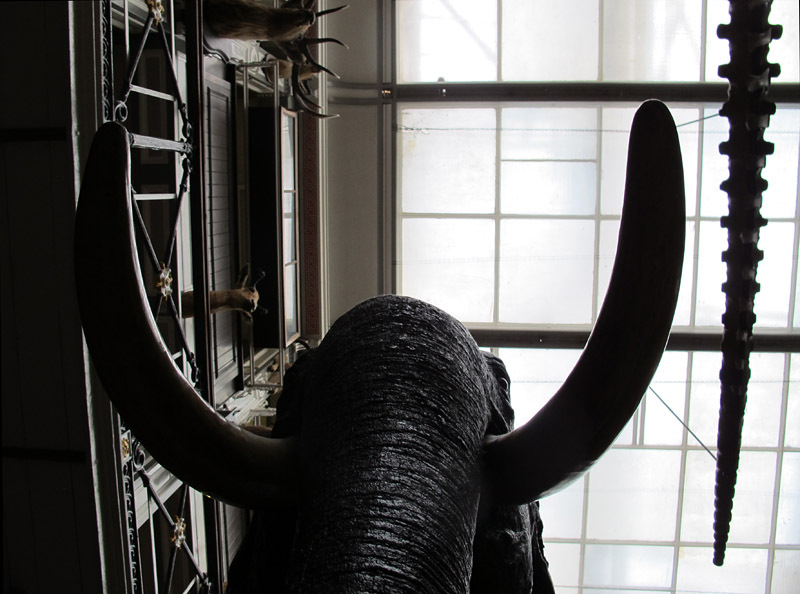 The Dead Zoo houses a small herd of proboscideans, which you can observe from both without and within. 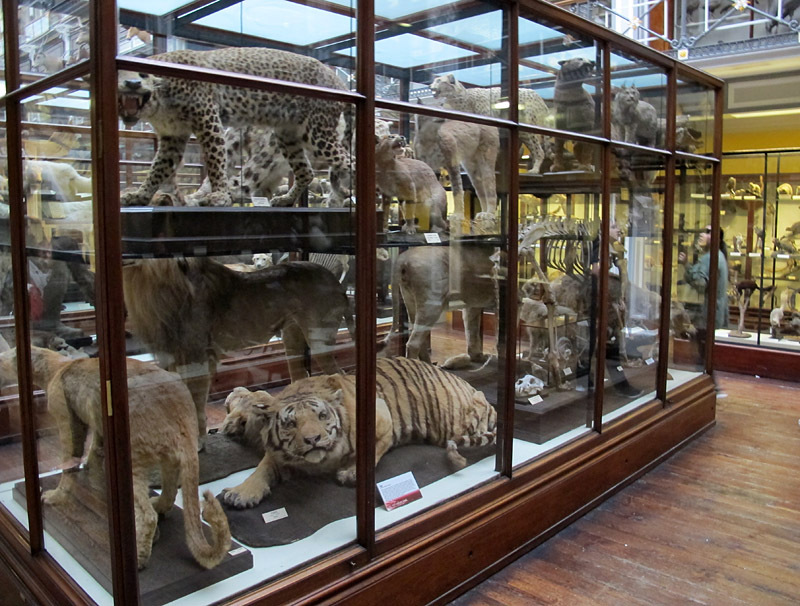 Some of these big cats seem to be rather uncomfortable in their glass case. 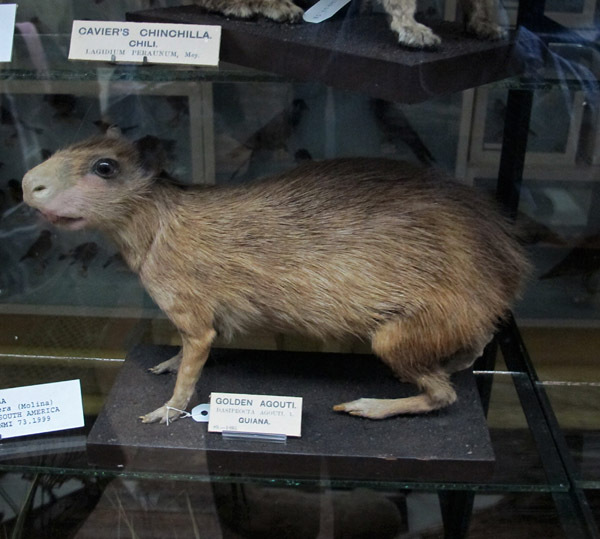 Most of the carnivores look fierce . . .
. . . and the prey, like this agouti, appear timid and frightened. 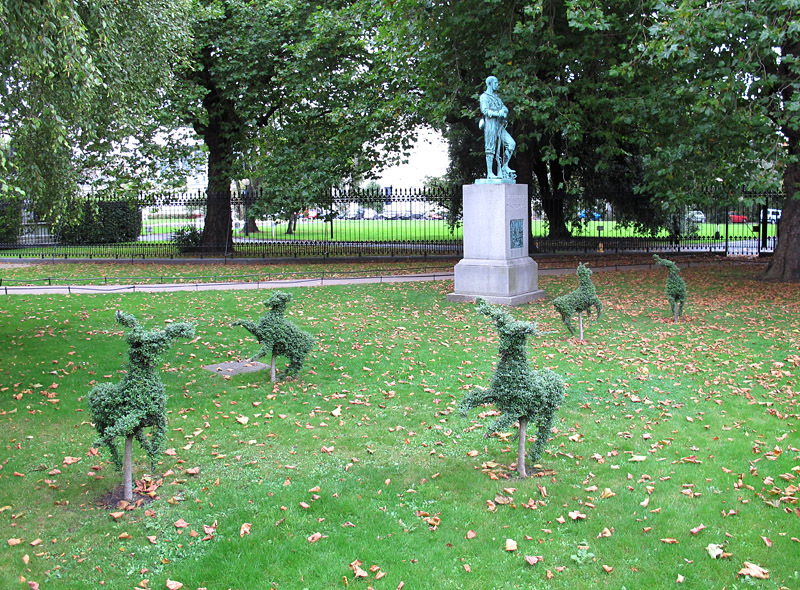 Outside the museum, topiary creatures caper. I recall a scene from the original “Planet of the Apes” movie. Human beings were similarly exhibited in diorama like displays….. Somewhat sobering….Perhaps very ahead of its time in this prediction.